If you're looking at buying either a 2018 Hyundai Sonata or a Nissan Altima, you're probably someone looking for quality, reliability and value. Let's take a look at how they measure up to each other to find out which is best. Neither the Sonata nor the Altima comes from a luxury brand, so they don't offer the instant eye candy that a prestige sedan might. However, neither of them come with luxury price tickets either. The Sonata might not get the heart beating in the same way as an E-Class or a 5 Series, but it's recently redesigned styling is a big cut above that of the somewhat bland and anonymous Nissan Altima. Some people may still not see Hyundai as a brand on quite the same level as Nissan, but the Sonata is a great illustration of how it's every bit the equal of the Nissan and other rivals. If your buying decision comes down to which one looks better on your drive or on the road outside your house, the Sonata definitely has the edge. If value for money wasn't important, these cars wouldn't sell the way they do, so it's a vital component of many buyer checklists. Although Hyundai is a lot more upscale as a brand than it once was, it certainly hasn't abandoned its principles of giving great value for money. Hyundai has simply added impressive quality to their commitment to offering impressive value to buyers, increasing that value even more. The Altima does come with an enviable reputation for reliability gained over many years, but when compared with the Sonata it's hard to justify the extra cost of the Nissan. When you then add the class-leading warranty Hyundai offers with the Sonata over what Nissan offers with the Altima, the Hyundai takes the honors for value for money. Both cars here offer some very respectable fuel economy, but buyers will have to shop carefully to get the best efficiency out of the Sonata. 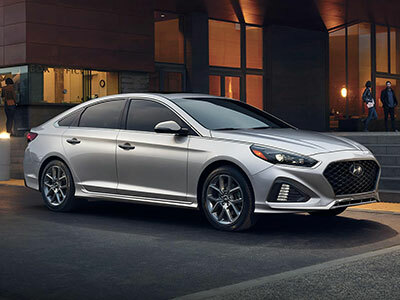 The best ratings for the Hyundai come from the Sonata SE with its 16-inch wheels the EPA rates at 25 mpg in the city, 36 mpg on the highway and 29 mpg combined. At the other end of the scale, the Sonata Sport and Limited with the turbo-four get just 23/32/26 mpg. 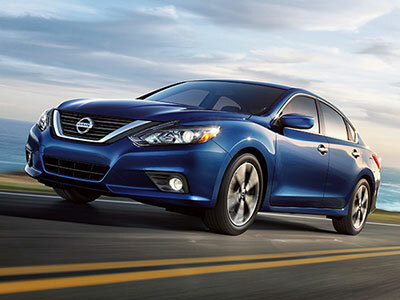 Nissan Altima models are known for their fuel economy, and you won't be disappointd with the 2018 Altima models. With the 2.5-liter four-cylinder engine are rated as good as 27 mpg in the city, 38 mpg on the highway and 31 mpg combined, and even the sporty Altima SR is rated at 26/37/30 mpg, so this is a win for the Nissan. A lot of buyers cite safety as a reason for choosing SUVs over sedans these days, but the safety ratings don't support the idea that an SUV is always going to be safer than a sedan. These two are both rated highly with full five-star ratings from the NHTSA, which is good news for any buyer. But while the IIHS gives the Nissan Altima a Top Safety Pick rating, the Sonata goes a step further with a coveted Top Safety Pick+ rating. It's hard to see why you wouldn't choose the 2018 Hyundai Sonata over the Nissan Altima. The Altima isn't a bad car by any means, but the Sonata is more stylish, a better value for a budget, and more individual than the Nissan.